Professional results thanks to the high concentration of latest generation active ingredients, with growth factors and biomimetic peptides that provide the maximum efficiency in all treatments. 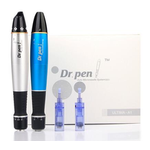 Only Users in the Professional group can purchase the mesotherapies and skin pens. 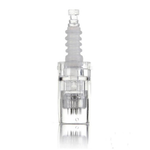 Wireless electric micro needle skin pen that can adjust the length of the needle as well as the speed.